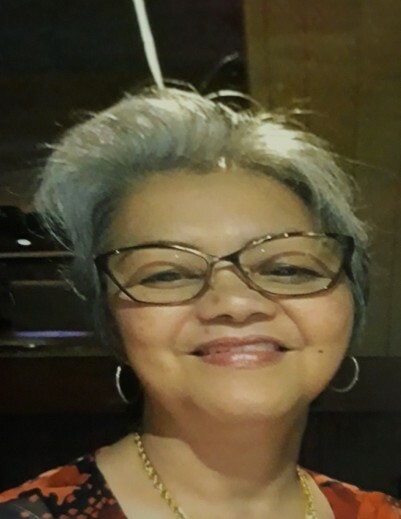 Marietta Robles Bandy, 65 years of age, of Houston, Texas, passed away on November 9, 2018. Marietta was born in the Philippines on January 20, 1953 to Manuel and Ligaya Robles. Manuel and Ligaya (+) Robles Sr.
Service for Marietta is scheduled for Saturday, November 24, 2018 at Unity Funeral Home, 7730 Boone Rd., Houston, Tx 77072 from 11:00 AM - 3:00 PM. Ceremony will begin at 1:00 P.M. Unity Funeral Home gives the family and friends of Marietta Robles Bandy our deepest thoughts and sympathy at this difficult time.